« How Has The Scrap Metal Industry Changed? 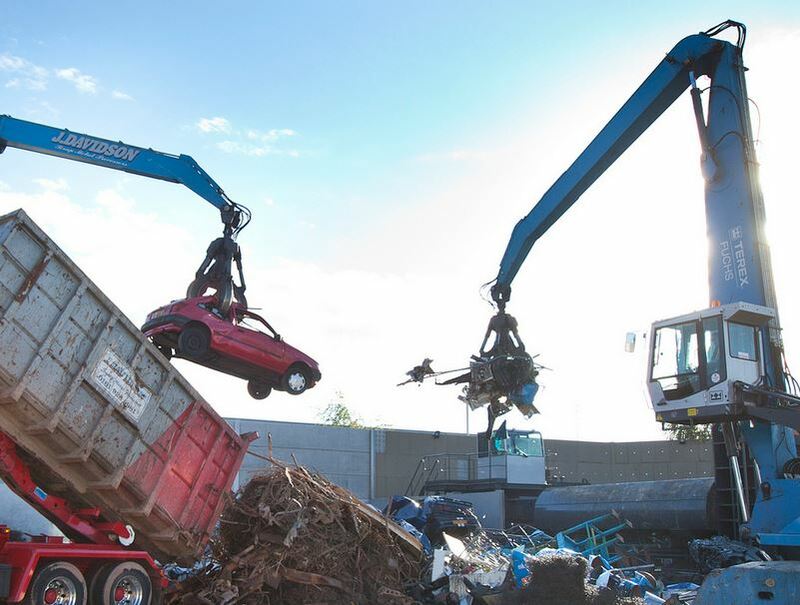 Here at J Davidsons, we’ve been scrapping metal for over 40 years and recycle in excess of 40,000 tonnes of scrap metal in Manchester each year at our specialised site in Altrincham, Cheshire. We consider ourselves experts in our field and use the most up-to-date equipment available to the Scrap Processing Industry. Scrap metal recycling has a huge beneficial impact on our environment; CO2 emissions are reduced considerably in the production methods using recycled metals. Additionally, less of our valuable natural resources are required when using the secondary raw materials harvested from scrap metal recycling. We offer top prices in exchange for your unwanted scrap metal which you can either bring directly to our site in Altrincham or you can sit back and relax and wait for us to come and collect it from you. The term ferrous indicates the presence of iron. Iron, steel and alloys of iron such as stainless steel comprise the ferrous metals and are less valuable than their counterpart. The most commonly recycled ferrous scrap metals are old cars, rail or tram tracks, containers, household appliances, food packaging and construction materials although this list is not exhaustive. To give you an example, an old car is typically 65% steel and iron by weight. Non-ferrous therefore means metals other than iron and those alloys that don’t contain an appreciable amount of iron. Examples include aluminium, copper, brass, lead, zinc, nickel, titanium, cobalt, chromium and precious metals. The easiest way to tell the difference between the two is with the use of a magnet; ferrous metal is magnetic whereas non-ferrous metal isn’t. So if you’re looking to sell any scrap metal in Manchester, be it ferrous or non-ferrous, call the experts at J Davidson Scrap Metal – Manchester on 0161 928 9981 or visit our scrap metal – Manchester website for more information. Like us on Facebook and follow us on Twitter and Google + for all the latest Scrap Car and Scrap Metal news, offers, events and competitions. This article was posted in Scrap Metal, Scrap Metal in Manchester, Scrap Metal Processing, Scrap Metal Processors. Bookmark the permalink. Follow comments with the RSS feed for this post.Both comments and trackbacks are closed.